We're here. We're there. We're everywhere in California. Every day, FOODLINK IS somewhere in California—working behind the scenes—helping food banks get much-needed food to the people they serve. This map shows the many locations we serve, from Crescent City to El Centro, almost 1,000 miles apart. 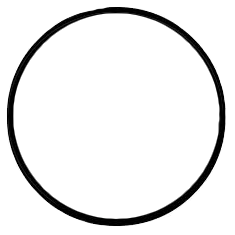 A white circle indicates agencies receiving a full complement of Foodlink's services, including storage, handling and distribution, because they are too small to receive semi-truck load deliveries directly from USDA, and would otherwise receive a limited selection of items. Foodlink provides DDD donations and operates tailgate and market-style distributions by pre-arrangement. A gray circle indicates agencies that receive Foodlink's TEFAP food ordering and delivery scheduling services but receive food deliveries directly from USDA. These agencies store, handle and distribute the USDA food they receive.